The Turkish Super League’s defending champion Beşiktaş returns to the Champions League after a seven-season break with an improved and well-motivated cadre. As a result of the Aug. 25 group stage draw, Beşiktaş will visit Benfica on matchday one on Sept. 13, as two teams with an eagle emblem face off. “Eagles vs. Eagles. It’s going to be memorable,” Benfica said on its official Twitter account. There is more than a logo in common between the two clubs, as Beşiktaş recently signed Brazilian midfielder Anderson Talisca from Benfica. Beşiktaş reinforced its squad this suffer with left back Adriano from Barcelona and right back Gökhan Gönül from city rival Fenerbahçe. It is also in talks with Porto’s Vincent Aboubakar and Manchester City’s Sami Nasri, according to media reports. However, Beşiktaş suffered two big blows during the summer transfer window as last year’s top scorer Mario Gomez signed with Wolfsburg and Gökhan Töre flew to West Ham United. The other teams in Beşiktaş’s group are Ukraine’s Dynamo Kyiv and Italy’s Napoli. “All teams in the group are precious, they are all strong. Beşiktaş is the strongest among them,” said the Beşiktaş chairman after the draw. Benfica’s football director general Lourenço Coelho said he was pleased with the draw. “The draw has produced a very even group. It will be tough as there are three domestic champions and the second-placed side in the Italian league. We always want to get through the first knockout stage. Everything is wide open, said Coelho. In the Europa League, Manchester United will come up against their former striker Robin van Persie after being placed in the same group as the Dutchman’s current club Fenerbahçe in the Aug. 26 draw for the group stage. 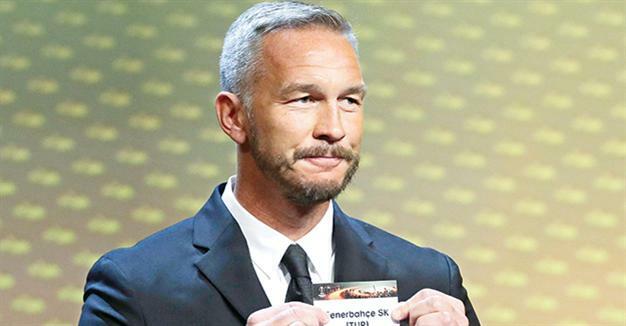 Fenerbahçe, which eliminated Switzerland’s Grashoppers late on Aug. 25 in the qualifying stage, will also come up against Dutch giants Feyenoord and Zorya Luhansk of Ukraine in Group A.
Turkey’s debutant in the competition Osmanlıspor, which secured a 3-0 aggregate win against last season’s surprise package, Midtjylland, face a tough struggle against Spain’s Villarreal, Romania’s Steaua Bucharest and Switzerland’s Zurich in Group L.
In Group H, Konyaspor, the third Turkish team that made it to the group stages, will face Ukraine’s Shakhtar Donetsk, Portugal’s Braga and Belgium’s Gent. Meanwhile, the top four leagues in Europe will be guaranteed four places in the group stage of the Champions League from the 2018/19 season, UEFA confirmed on Aug. 26. The changes affect the top four domestic leagues in UEFA’s ranking, which are currently Spain’s Primera Liga, Germany’s Bundesliga, England’s Premier League and Italy’s Serie A, and will initially run until 2021. At the moment, only the three leading leagues – Spain, Germany and England – are guaranteed three places in the group phase, with a fourth team entering in the play-off round. Italy has two guaranteed berths while a third team enters the play-offs.